God so loved the whole world. It doesn’t say he loved some of the world. It doesn’t say he loved the Christian world. It doesn’t say he loved those who are good and kind in the world. It says that he loved the whole world. He loves the people you love. He loves your spouse. He loves your kids. He loves your friends. He loves all of those who encourage you and inspire you. He also loves the people you don’t love. He loves the unlovable. He loves the marginalized. He loves that rude and belligerent co-worker. He loves that relative who always takes, but never gives. He loves those who have hurt you in the past. Whatever the barrier is that prevents you from loving another person, God’s love conquerors that barrier. We often love the people who have something to offer us in return. On the surface, the starving orphan child in Africa may not have much to offer us. But when we send our support (less than the price of a cup of coffee), it makes us feel good about ourselves. We pat ourselves on the back for being a good person. The orphan child gives us good feelings in return for our love. It is much more difficult to love the person who would do us harm, shows us no appreciation, cuts us off on the parkway, or talks behind our back. Can we love others when there is a cost involved? Who do you find difficult to love? Recognize this is the measure of God’s love for you. You have nothing to offer God in return for his love. He does not love you because you are worthy of his love. In fact, it is just the opposite. You don’t deserve God’s love, but he loves you anyway. God is love (1 John 4:8). He is the embodiment of love. To know love is to know God’s love. There are no conditions to God’s love. The most selfless act of love ever demonstrated is the gift of Jesus. Jesus died for each and every sinner, not just the sinners that are a little better than the rest. Love does not look past sin nor accept it. To ignore sin is not love. We are to speak the truth in love (Ephesians 4:15). Jesus never had a problem confronting sin. But neither does God condemn us in our sin (John 3:17). Instead, he bears our sin. He dies for our sin. He takes our sin upon himself. There is a cost for our sin, but out of love, he pays the debt that is ours. If we are to love as God loves, we will not ignore sin. Instead, we will bear the sins of others. There is a sacrifice. There is a cost. We may even be despised for our love. The greatest acts of love are often rejected and chastised. If we don’t know God’s love, then we don’t know what love is. We can’t give away what we don’t have. If we don’t have God’s love, then we can’t offer true love. True love is to make known God’s love. It is to love as God loved us whatever the cost may be. 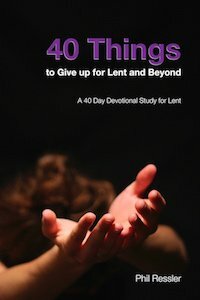 Lent is an invitation to immerse ourselves in the love of God. It’s an invitation to embrace the cross. It is to allow ourselves to be swept away into God’s affection. We see there is no distance God will not go. He doesn’t just go the extra mile, he goes all the way. As we are embraced by him, our capacity to embrace others will expand. No sacrifice becomes too great to make known God’s love. What are the conditions you attach to love? Who do you have difficulty loving? What step can you take to show unconditional love? What does it mean to bear the sin of others? Happy Valentine’s Day, also known as St. Valentine’s Day. This holiday is a liturgical holy day of the Church to honor Valentinus, a priest in Rome who was martyred in 496 AD. 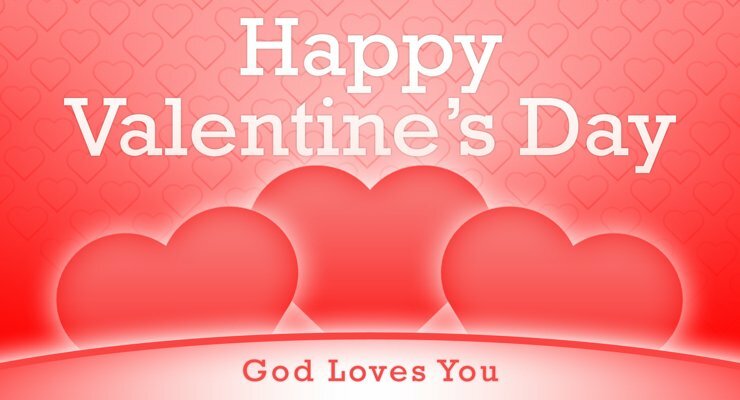 Very little is factually know about St. Valentine, but it is told that he was was imprisoned under the Roman Empire for his support of persecuted Christians and for performing weddings of soldiers forbidden to marry. During his imprisonment the legend is told how he healed the blind daughter of his jailer named Asterius. When the time came for him to be executed, the story is told how he wrote a letter to his jailer’s daughter signed, “Your Valentine.” Today, the skull of St. Valentine is on display in Rome with of all things a crown of flowers. The modern expression of Valentine’s Day is synonymous with L-O-V-E. When it comes to love there is no greater example and expression of love than God. 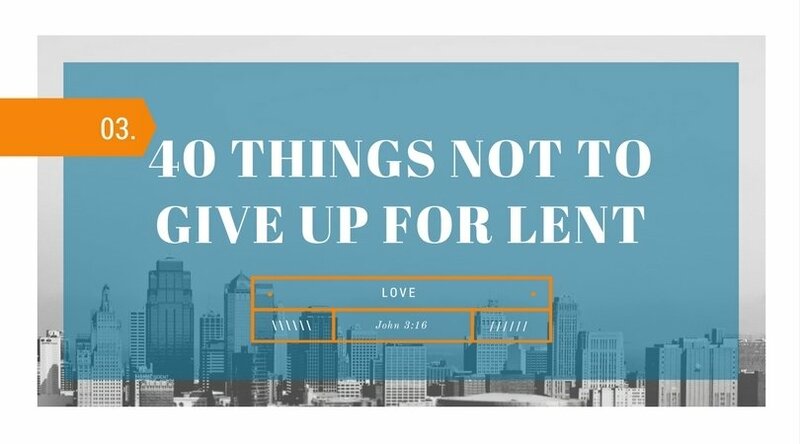 The sacrificial and selfless love is shown through the death of Jesus on the cross. We could never begin to love to the extent to which he has first loved us. Everything good that we have in this world comes from him. The rest that is not so good is on us. I once heard the Bible described as God’s love letter to us. There is so much in there that tells us about his love. Here are just a few of the many verses to ponder. How about you? What are some of the Bible verses that are special to you which express the immense love of God? Take a moment and share with us in the comments below.